If you think about it, your bedroom is where you spend the maximum amount of time when you’re home. Keeping the room filled with the best furniture is hence really important. The task of selecting good furniture is not as easy as it looks. You must create a room that reflects a tinge of your personality as well as style. At the same time, as you consider the importance of style, you must also keep comfort in mind. To help to through these problems, here are some tips that you might want to follow as you go furniture shopping for your bedroom. 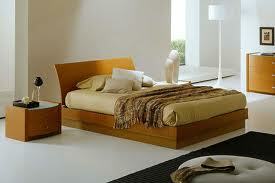 When you buy your bed – it is very obvious that the most important aspect of a bedroom is the bed. You cannot have a good time unless your bed is comfortable and cozy. If your room is small, then look for beds which have a storage space underneath. You can also choose beds which can be folded or which serve multi-functions like convertible sofas. The mattress you purchase should also be of a soft but long lasting quality. Try shopping from the branded furniture stores for finding unique beds. The store holds an amazing variety and you can purchase all kinds of furniture including mattresses from the same place. This would reduce your efforts and make you buy mattresses that fit the bed. When you buy chairs – chairs are an essential part of a bedroom. You don’t want to lie down or sit uncomfortably all the time, do you? Look for chairs which capture less space and do not block your way. Also, if you think that there is no space as well as need to place chairs, you may not buy them at all. When you style the room – it is necessary to style your room for it to look good. Try selecting a specific theme and color. This shall add some smoothness and uniformity to the room. Your nearest stores sell many varieties of furniture along with bedroom sets where you will every furniture piece matching with the other one. When you take your measurements – taking the wrong measurements is the worst and the most common mistake made by people. Take the correct measurements of the space available in your room. Do not overestimate or underestimate the size of the room. Also, keep in mind how much space can you utilize. This implies that you can take a good look at the corners and the invisible spaces that might be utilized for storage or decoration. As you shop for furniture, also think if any piece is going to take up the navigable space of your room. When you choose your décor – remember this, the emptier and cleaner your room looks, the better it is. 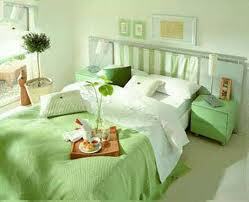 As you choose the décor for your bedroom select such materials that make it look less crowded. Try choosing stylish shelves which can be used for both style as well as storage. You can also choose mirrors and dressing tables but only those which consume less space.